Gift Aid allows tax to be reclaimed by a charity on donations made by individual taxpayers. This can not only apply to new donations, but to any received in the last six years (or four years as from 1 April 2010). While the basic rate of tax is 20%, a charity can reclaim 25% of the value of any donation. So for a donation of £100, you can get £25 back from the tax man. (If that doesn’t look right at first glance, consider that the tax payable on £125 at 20% is £25). The problem with Gift Aid is that there can be a lot of paperwork involved, and some charities may find it very time-consuming to reclaim tax on lots of small donations. So how will AdvantageNFP Fundraiser help? The good news is that AdvantageNFP Fundraiser fully automates the Gift Aid process with the Gift Aid software. AdvantageNFP Fundraiser's gift aid software makes the processing of a Gift Aid declaration very straightforward, particularly if it covers all donations received since 6 April 2000. (If it only applies to one or more specific donations, that’s also easily recorded). AdvantageNFP Fundraiser has incorporated new functionality to the software to submit your Gift Aid claims online. The HMRC are implementing the new Gift Aid Online Filing Reclaim process on 22nd April 2013 to replace the previous R68 and R68i tax claim forms. AdvantageNFP Fundraiser will follow the existing procedures up to the point of submitting the claim, when instead of the current process of printing, signing and posting reports, the Tax Reclaim option has been updated with new features to submit your claims online. It takes the created claim file and formats and transfers this, via a secure server, to the HMRC gateway for processing. For more information please visit HMRC Charities Online FAQs. AdvantageNFP Fundraiser makes easy work of submitting the Gift Aid claim for the appropriate tax year(s). 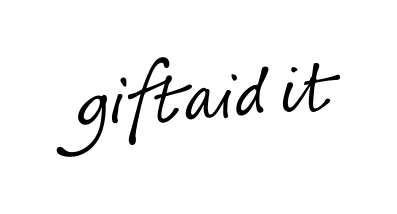 The Gift Aid software simply finds donations that are eligible for Gift Aid, then looks for a Gift Aid Declaration covering those donations. Matched items appear on the R68 Schedule. If HMRC changes the forms, Redbourn Business simply send you the latest forms. AdvantageNFP Fundraiser is approved and recommended by HMRC. Alternatively, as Redbourn Business Systems were early adopters of on-line filing, if you wish to submit an electronic tax claim, you can be confident that the data file will be in the correct format. It is also easy to find out which supporters have not submitted Gift Aid Declarations, but have sent you otherwise eligible donations, and perhaps send them all a letter with a blank declaration form. When the payment of reclaimed tax is received, you just enter it into AdvantageNFP Fundraiser with a special “income type” of reclaimed tax. (As well as Gift Aid, AdvantageNFP Fundraiser can also claim tax on Deeds of Covenant. These can no longer be set up, but tax can still be claimed on existing Covenants using the Gift Aid forms). You can ‘aggregate’ (add together) donations of £20 or less from different donors and show them as one entry on the spreadsheet. The total donation on one line cannot be higher than £1,000. To claim Gift Aid on aggregated donations, you don't enter the name and address details of individual donors as this will delay your repayment claim, you can just enter a simple description like ‘Wednesday club donors’, the date of the last donation and the total amount raised. The maximum total amount of a single aggregated donation that can be input into AdvantageNFP Fundraiser is set at £1000.